JAKARTA – Located at National Musem of Indonesia (27/6), social activities have been held together with open event with PT Asuransi Asei Indonesia. This activity is one manifestation of social care PT Asuransi Asei Indoneisa to education by providing assistance and education funding to the Foundation Nurul Iman 83 and Al Bayan Islamic Education Foundation directly submitted symbolically by the Board of Directors of PT Asuransi Asei Indonesia. 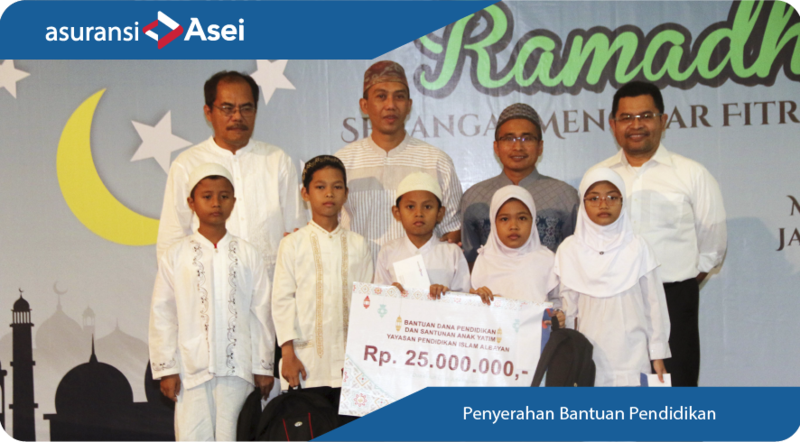 Jakarta – In order to celebrate Idul Adha 1437 H and as one of the CSR activities, Asuransi Asei in cooperation with the Assembly Ta’lim Menara Kadin Indonesia and Bukit Asam Cutting Animal Qurban. The results of the Qurban are then distributed to the surrounding community.